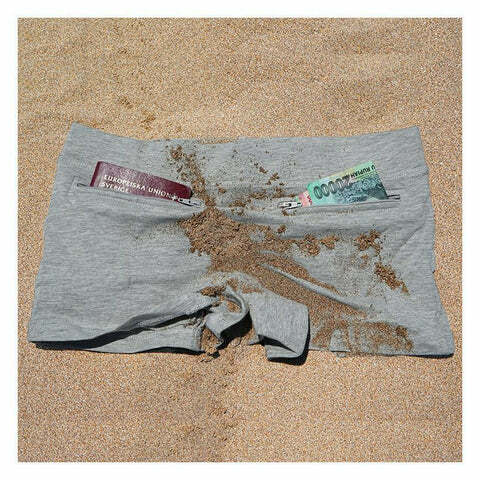 Men's underwear with pockets - hide your cash, cards and passport and stay safe at all times! Men's underwear with two hidden zipper pockets come in a comfortable boxer style. The pockets fit passports perfectly and there is ample space for credit cards, cash, keys, even cell phones.